During the week leading up to break, the Clinton registrars of voters held voter registration in the cafeteria in hopes of encouraging political involvement among the town’s eligible youth. 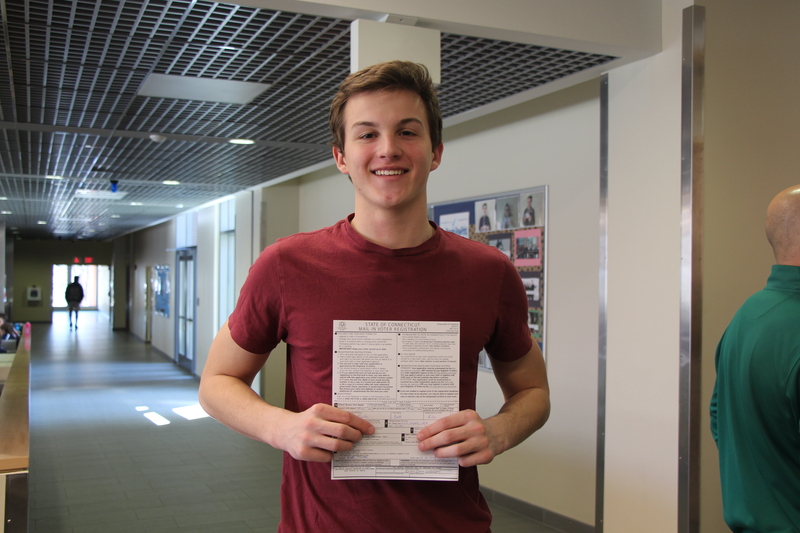 Over twenty students, including those turning eighteen before election day, registered to vote between April 9th and 11th, which was a drastic rise from the three who signed up last year. Students were generally enthusiastic about registering, and each cited slightly different reasons for taking on a larger role in our democracy. “It’s like that cliche quote “be the change you wish to see in the world”. If we want to see the world change, we have to be active and speak our minds so that these changes are made. 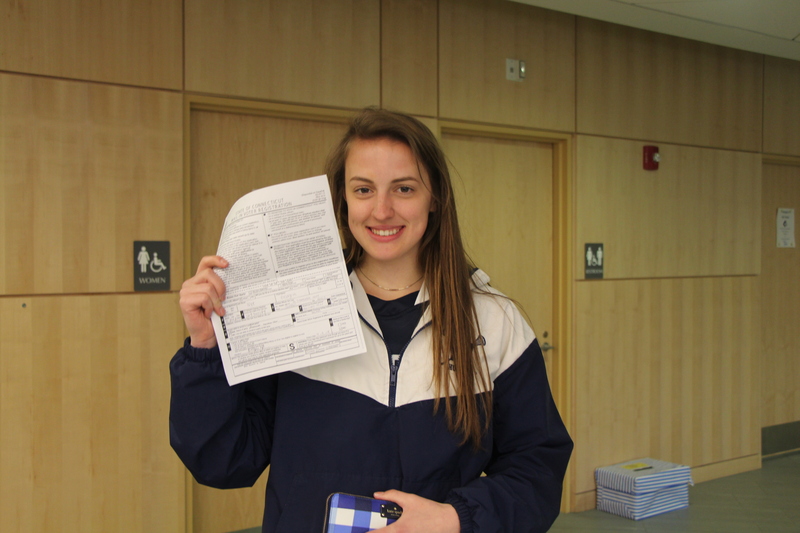 Voting is just one way to make our voices heard,” said Senior Andie Carse. Overall, voter registration was a resounding success in the eyes of the registrars. “We’re very optimistic,” said Mr. Gianotti as he and fellow registrar Mrs. June Hansen packed up their forms. 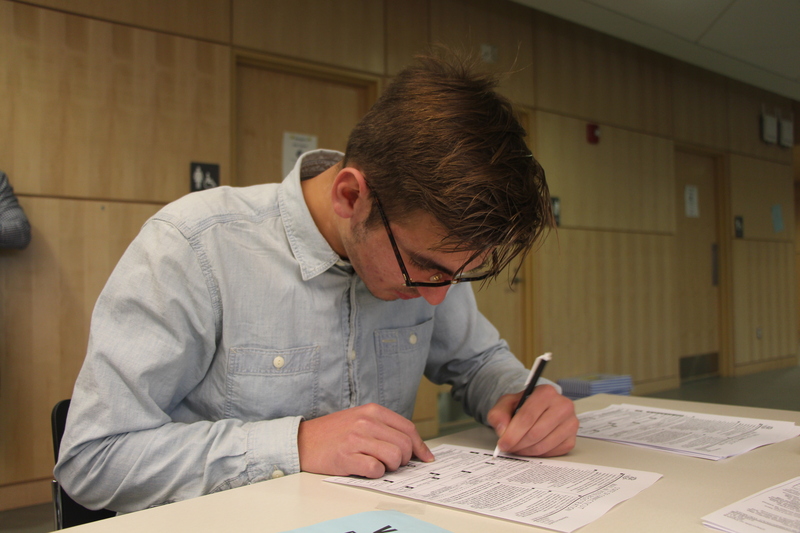 If you wanted to vote and missed the recent registration event, you can register online here, Anyone who will turn eighteen on or before election day (Tuesday, November 6th, 2018) is eligible.